3 Pc. Dragons Tongue Samurai Ninja Sword Set & Display Stand | BUDK.com - Knives & Swords At The Lowest Prices! 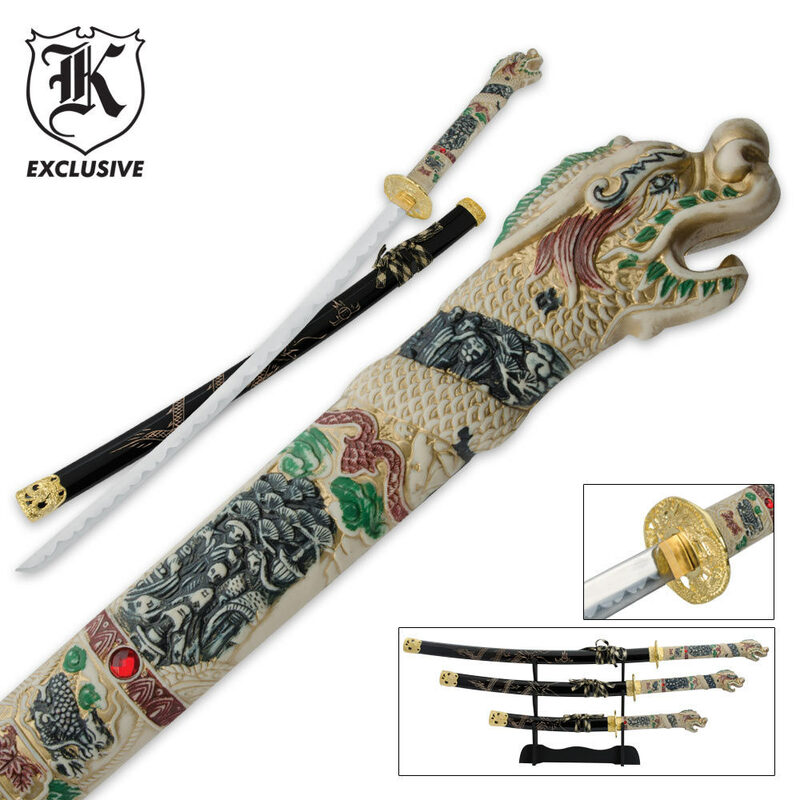 This elegant 3-piece Open Mouth Dragon sword set will certainly please any serious collector or samurai enthusiast. Real nice if you like to collect,good lookin,and packed good when shipped. Lots detail on handle and looked at them for a few days and put them back in the box. Didnt want to let them get too dusty LOL , what can I say I got more to buy.